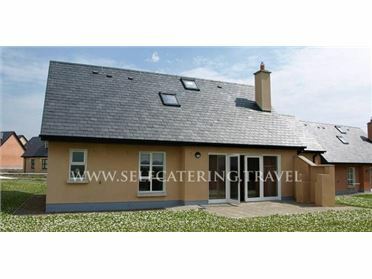 Located in between the villages of Kilcolgan and Kinvarra lies Ballinderreen in south Galway. The village has a shop and a pub and is close to the sandy beach at Tracht, and Morans Oyster Cottage, a delightful thatched cottage that has been turned into a charming restaurant. Ballinderreen rests along the main route from Galway to County Clare and encompasses some of the most stunning coastal scenery you will ever see, the perfect base to explore the delights of west Ireland. Oil central heating with solid fuel stove. Electric oven and hob, microwave, fridge, washing machine, dishwasher, TV with Free-to-air channels, WiFi. Fuel, power and starter pack for stove inc. in rent. Bed linen and towels inc. in rent. Ample off road parking. Shared lawned garden to front and rear with furniture. Sorry, no pets and no smoking. Shop and pub 1.5 miles. Coast 1 min walk. Note: Ramped access and wide doorways. Note: One step down into sun room, but there's also level, external access from the rear of the property..